yy4k 95-Hour RCYT Teacher Training through Yoga AllianceAre you interested in teaching yoga to kids? Complete your journey with yy4k, the only dedicated RYCS in the Dallas/Fort Worth area. 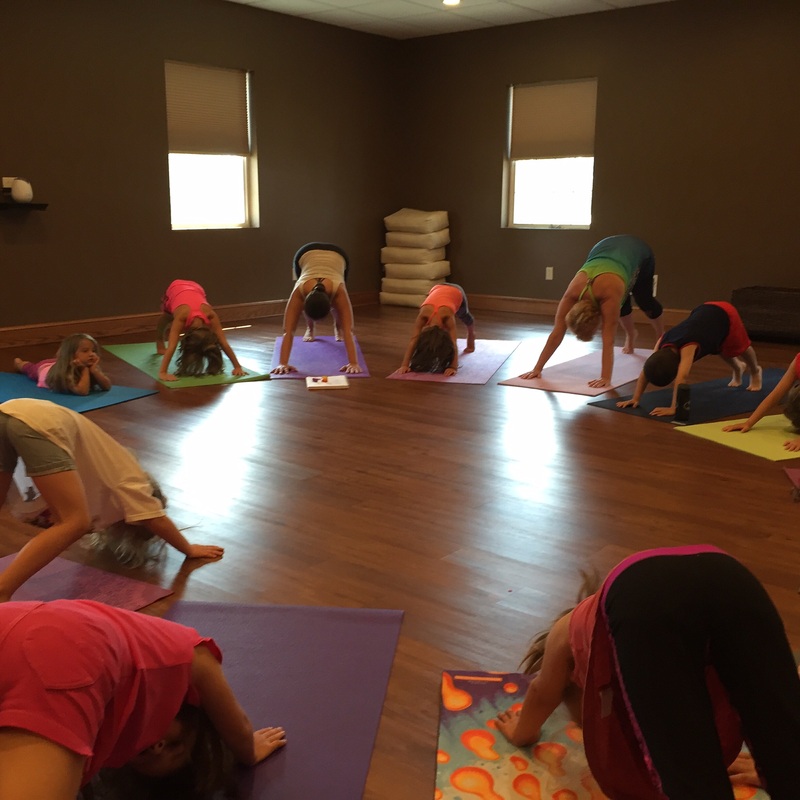 Kids yoga is ALL we do at yogees! Our syllabus is broken down into one practicum and five teaching modules, all of which enhance our chances of positively and effectively providing success for our future teachers and ultimately the children they have the good fortune to teach. Each module can be taken as a stand-alone course or in a series to meet the requirements of 95 hours of instruction to achieve the Yoga Alliance designation of Registered Children’s Yoga Teacher or Certified Children's Yoga Teacher. Modules are approximately one weekend per month, beginning twice per year. Email Heather to register or for more information! “Absolutely would recommend this training program to anyone who is interested in teaching yoga to children. You can come in as a trained yoga teacher or come in as someone who has never taught yoga and the instructors will make you feel welcome and you will leave feeling confident in your ability. Loved it! So happy I made the decision to train with this company. It was definitely a life-changing experience!" "Great program. You will leave with the skills necessary to teach yoga to children - at the same time teaching them to become more thoughtful, kind, and self aware individuals." "I loved the exuberance and love the trainers have for what they were teaching. Their excitement for bringing yoga to kids was infectious. I thought the training was well rounded and balanced. In addition, loved the camaraderie of/between the cohort and the instructors. I highly recommend Yogees Yoga 4 Kids to anyone whether or not they want to teach a class or just practice with their own children." Application for registration is required. Please email yogeesyoga4kids@gmail.com to register. We create a unique yoga journey for children through books, music, imagination and fun! yogees yoga 4 kids introduces the practice of yoga to children through books and games in a fun, safe and nurturing environment. We encourage strong mental and physical health and abide by the philosophy that in yoga "everyone is a winner!" Taylor Seideman started yogees yoga 4 kids in 2006. She saw a need for kids to be involved in something just for "them" that didn't involve winners or losers. Taylor's vision was to produce and provide an environment for children where they could just "be." Taylor began teaching all around DFW and the response from parents and teachers was phenomenal. Her business began to grow. Fast forward to 2014... Heather Hopper took the Module 1 training with Taylor as a part of her 300 hr RYT program. Realizing that she was the addition needed to finish creating the yy4k 95-hour teacher training certification, she jumped on board in early 2015. Taylor and Heather continue to teach kids all over the metroplex as well as leading teacher trainings with their Yoga Alliance RCYS (registered children’s yoga school) nationwide! #yy4k now has teachers in Texas, Oklahoma, Louisiana, California, and New York! binder with 5 dividers, cofortable clothing you can practice in, pens and pencils, your mat and any props for your practice and sitting, a good attitude and an open mind! A little bit of silliness helps, too! We do not offer refunds. If you are unable to attend a workshop, it may be made up in a future program. Total of $1470 payment plan over 4 months.